Deputy director of Afrobarometer and associate professor of political science at Michigan State University. 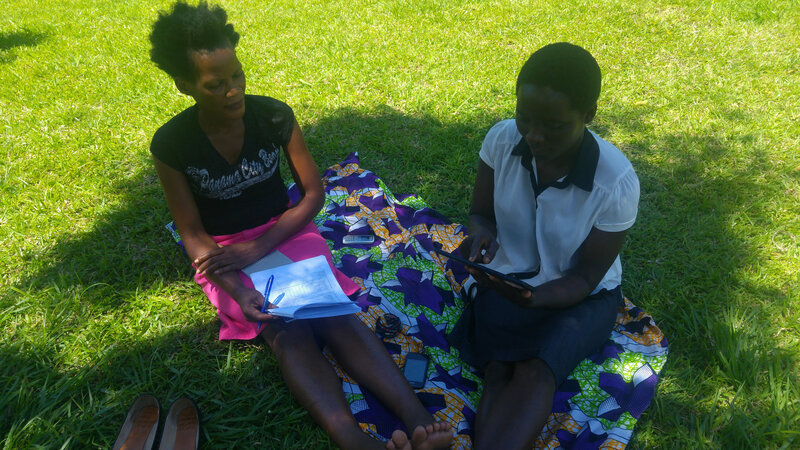 Image: Afrobarometer researcher carrying out a fieldwork pilot test in Zimbabwe. Originally posted on German Development Institute’s International Development Blog. Carolyn Logan is deputy director of Afrobarometer and associate professor of political science at Michigan State University. 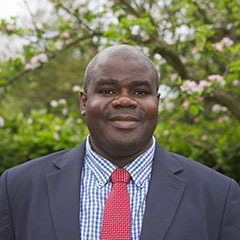 Boniface Dulani is a senior lecturer in the Department of Political and Administrative Studies at the University of Malawi and Afrobarometer’s operations manager for fieldwork in southern and francophone Africa. In the past two decades, the continent has recorded impressive gains. In 1990, Freedom House rated just four African countries as “free” and 19 as “partly free”; four were identified as electoral democracies. By 2015, 10 ranked as “free” and 21 as “partly free,” while 23 meet the standards of electoral democracy. Since the turn of the century, Africa has seen fewer coups and an increasing willingness – even, at times, among its leaders – to push back against the worst anti-democratic excesses. Africa’s political successes have been mirrored by substantial economic and social improvements. Between 2000 and 2015, sub-Saharan Africa’s gross domestic product (GDP) grew more than four-fold, from $368 billion to $1.59 trillion (World Bank). Life expectancy stood at about 50 years in 2000, but by 2014 the average person in sub-Saharan Africa could expect to live nine years longer. Among the strongest movers are some of the poorest countries, such as Malawi, where life expectancy rose from 44.1 years in 2000 to 62.7 in 2014. Thirty of the 37 countries where life expectancy increased by more than 10% between 2000 and 2014 are in sub-Saharan Africa (Financial Times). Meanwhile, child mortality fell by almost half, declining from 155 deaths per 1,000 live births in 2000 to 83 in 2015 (World Bank). But the challenges that remain should not be underestimated. Twenty-three countries still languish in Freedom House’s “not free” category, including backsliders such as Burundi and Uganda. Even among better performers, threats to electoral integrity persist as incumbent leaders resist term limits and manipulate or challenge electoral outcomes. Economically, the distribution of gains remains a challenge. Although poverty headcount ratios have been declining since the mid-1990s, the pace of poverty reduction has been very slow, averaging less than half a percentage point per annum from 1990 to 2011 (International Monetary Fund). Life expectancy on the continent is still 12 years below the global average (World Health Organization), while infant and child mortality rates surpass other global regions by a wide margin. Malaria remains a major killer of young and old, Africa is still home to 69% of all people living with HIV, and epidemics like the 2014 Ebola outbreak highlight persistent health threats. Amid so many challenges, what do African citizens want from their governments? 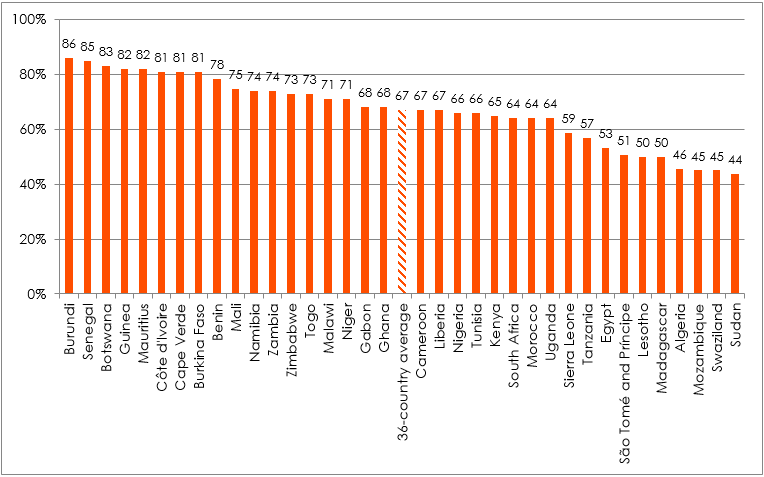 Data from Afrobarometer public opinion surveys across more than 30 countries in 2014/2015 offer a window into the lived experiences and expectations of ordinary Africans. 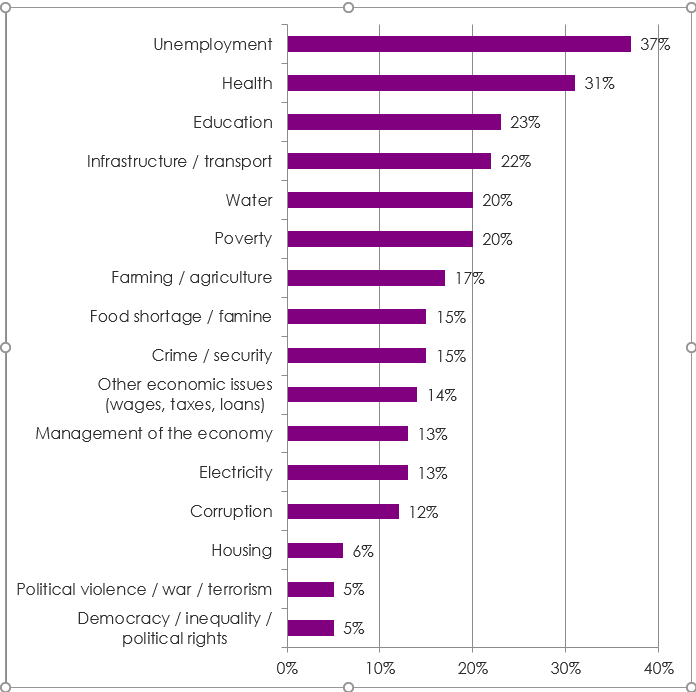 When asked what they consider the most important problem that government should address (three answers permitted), a plurality (37%) of Africans identify unemployment as their top priority, followed by health (31%), education (23%), infrastructure 22%), water (20%), and poverty (20%) (Figure 1). These responses are shaped by economic status, both at the individual and country levels. 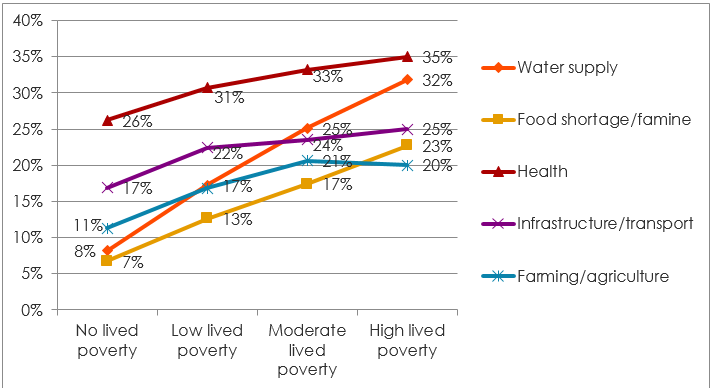 For example, poorer individuals are far more likely to prioritize health, water supply, and food shortage relative to wealthier respondents (Figure 2), but they are much less concerned with (formal-sector) unemployment. 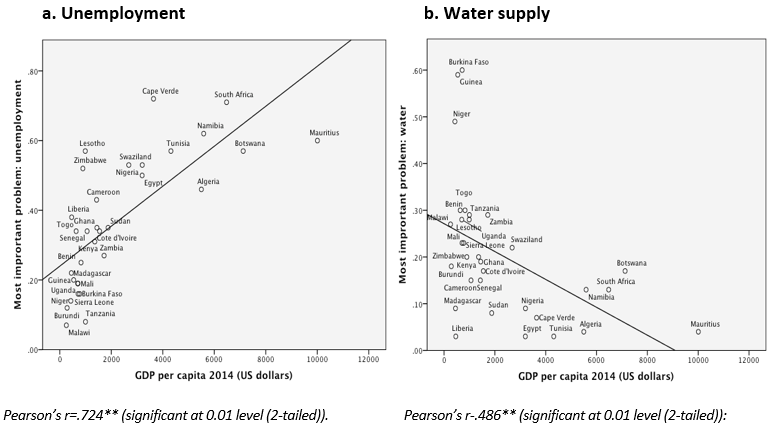 Similarly, unemployment, as well as corruption, crime and security, housing, and other economic issues, are of much greater concern in wealthier countries (Figure 3a), while water supply, health, agriculture, infrastructure, and food shortages decline in importance as national wealth increases (Figure 3b). 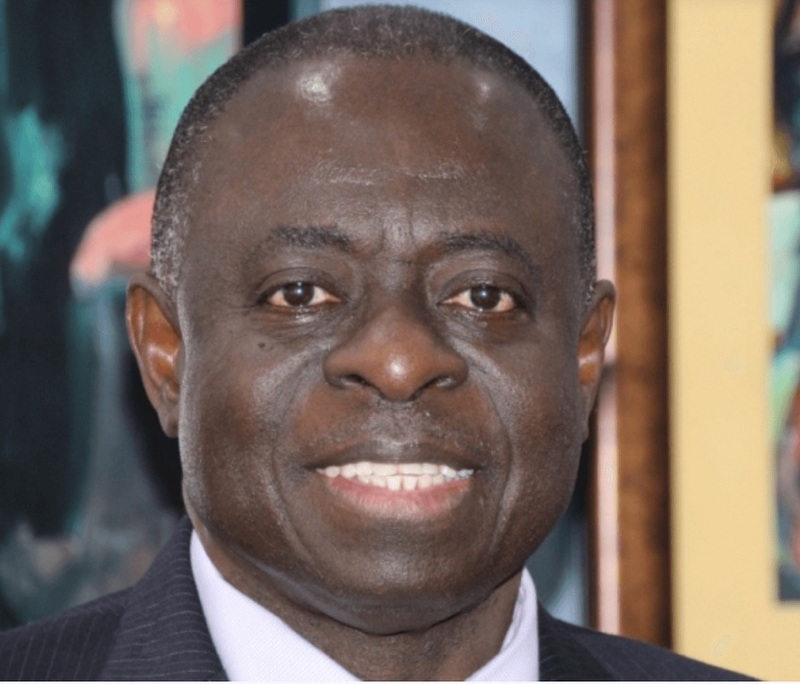 Democracy and governance advocates, who may attribute Africa’s development challenges to weak governance and lack of political voice for the poor, will note that Africans identify neither democracy nor corruption rates among their top concerns. Does this mean they are not important to Africans? Hardly! First, we should not be surprised that when people are asked in an open-ended question to cite society’s biggest problems, the “bread and butter” issues that directly affect their family’s day-to-day survival – jobs, food, water, health, education, and poverty – come to mind first. Moreover, we find strong evidence that Africans see the fight against corruption as critically important and regard democracy as the essential means for selecting governments that can solve their problems. Two-thirds of respondents (67%) say they support democracy as the best system of government, and 82% agree that leaders should be chosen through elections rather than some other method (Figure 4). Nearly half can be considered deeply committed democrats who also explicitly reject authoritarian alternatives. These levels of support for democracy vary widely across the continent, but high levels of democratic demand in countries from Burkina Faso to Senegal to Zimbabwe have challenged leaders who try to thwart the public will. Meanwhile, 58% say that corruption is worsening in their country, and 64% say their governments are doing a poor job of fighting the problem. What do these findings mean for development partners? First, satisfaction with gains made so far would be premature. Ensuring that the benefits of political, economic, and social progress reach Africa’s poorest citizens remains an especially pressing challenge. Second, there is great variability across the continent with regard to achievements, challenges, and popular priorities. Understanding each country’s context and challenges is therefore essential to good development planning. Third, as Africans themselves have confirmed, and as others have shown, addressing everyday “bread and butter” issues and supporting democracy and better governance are both essential and complementary goals. Finally, we highlight the fundamental need for high-quality empirical data as a basis for decision making. 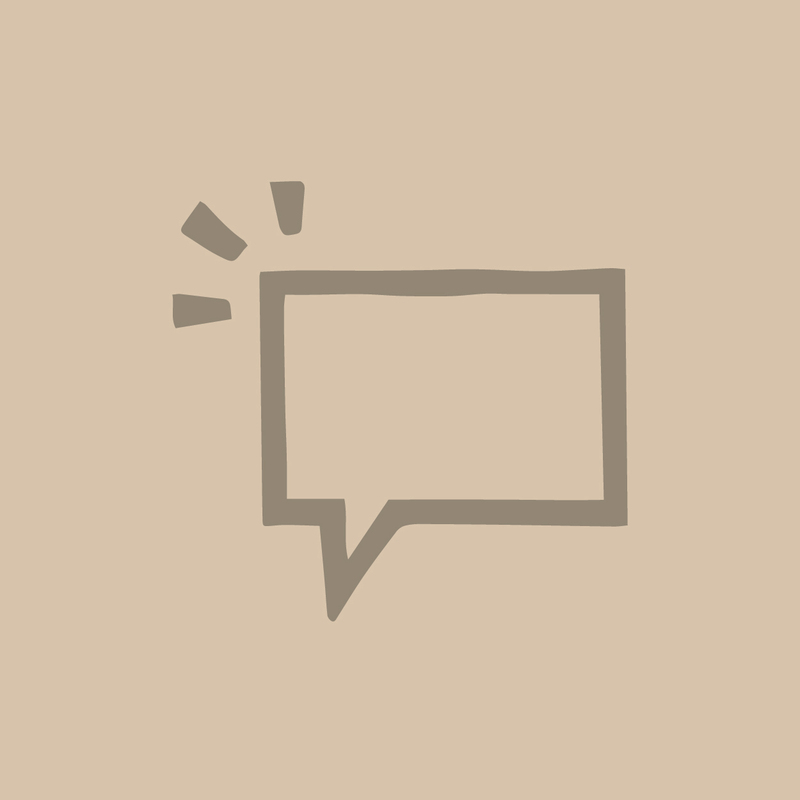 This includes accurately capturing critical political, economic, and social indicators, as well as data on public priorities and popular evaluations of government performance. By combining these inputs, we can ensure that effective development planning fully reflects local needs, priorities, and experiences.